"Do you understand how important this is, and how important art is?" Samuel Goldwyn Films has debuted an official trailer for an indie romantic drama titled A Boy. A Girl. A Dream., from writer/director Qasim Basir. The film premiered at the Sundance Film Festival earlier this year, and it plays out as one-long-take following two people who meet in Los Angeles and go on a "thrilling and emotional journey" together, a bit like Richard Linklater's Before films. On the night of the 2016 Presidential election, Cass played by Omari Hardwick, an L.A. club promoter, randomly meets Frida played by Meagan Good, a Midwestern visitor. She challenges him to revisit his broken dreams - while he pushes her to discover hers. This looks so good, I'm a bit sad I missed it at Sundance, but happy I have a chance to catch up with it soon. Take a look below. On the night of the 2016 Presidential election, Cass, an L.A. club promoter, takes a thrilling and emotional journey with Frida, a Midwestern visitor. She challenges him to revisit his broken dreams - while he pushes her to discover hers. A Boy. A Girl. A Dream. is directed by American filmmaker Qasim Basir, director of the films Mooz-Lum and Destined previously, as well as a short titled Glimpse. The screenplay is written by Qasim Basir and Samantha Tanner. This first premiered at the Sundance Film Festival earlier this year in the Next category. 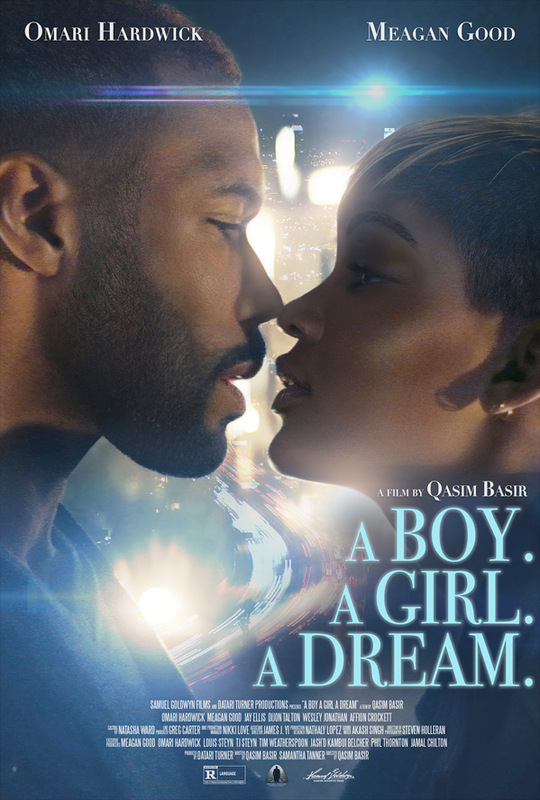 Samuel Goldwyn Films will release Basir's A Boy. A Girl. A Dream. in select theaters starting on September 14th coming up this fall. First impression? Who's curious about this film?